Business Unity South Africa (BUSA) has described Moody’s decision to delay the assessment of South Africa's credit rating as a "welcome reprieve" and urged the country to use the breather to get its fiscal house in order. The global ratings agency was on Friday expected to announce its decision on the country’s sovereign credit rating. No reasons were given for the decision not to update the assessment. "This is a welcome reprieve and ensures that South Africa will remain in the Citigroup World Bond Index. SA Inc ought to take this as an opportunity to get its fiscal house in order and its policies aligned to a pro-growth and confidence-inspiring economic strategy," BUSA said in a statement. The rating remains unchanged at Baa3, the last rung of investment grade, with a stable outlook. Busa highlighted that Moody’s as well as Fitch and Standard & Poor’s had previously raised concern about "political noise" – including pressure to pursue populist policies. "With the General Election scheduled for May 2019, South Africa requires a political trajectory that inspires confidence in its ability to effect an economic turnaround," the organisation said. 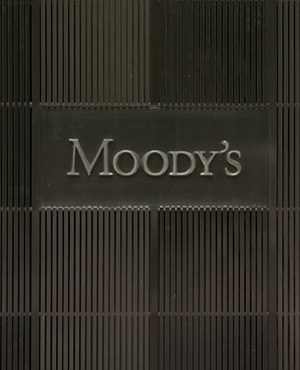 Moody’s is the only major rating agency that rates South Africa’s sovereign debt at investment grade.The organisation which represents a range of business sectors and chambers of commerce called for decisive action to address the dire state of state-owned entities, including structural reform and growth roadmap. "Eskom remains the greatest risk to the economy and a comprehensive and an aligned position is required between the power utility and its stakeholders on how to effect a restructuring within the context of a broader overhaul of the energy sector." A downgrade to junk status by Moody’s would have triggered SA’s exclusion from the Citi World Government Bond Index and projected capital outflows of hundreds of billions of rands. The date of the next scheduled rating action is November 1, 2019.